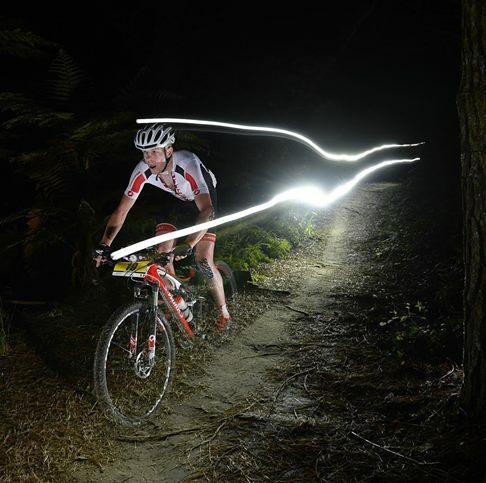 Ryan Sherlock has reflected on his epic 24-hour mountain bike world championships experience in New Zealand with a mixture of satisfaction and regret. The Monaghan man finished an incredible fifth from 140 starters in what was easily his longest ever race – trumping his previous benchmark by almost 18 hours. When we caught up with a shattered Sherlock he said he ached from his fingertips to his toes. “It’s a little bit different to what I’ve done before,” he said. “The first eight hours weren’t that hard; I’d ridden eight hours before and that’s as long as I’d done. “About 6½ hours was my longest race so that first bit was known territory and you’re not even going that hard. “It was like a good tempo ride. It’d be hard to do in training but in a race you’d be comfortable. “After a while the mental and physical connections start to deteriorate; my thought processes and motivations started to waver, my brain was telling me to do it but the body wasn’t following. “That was after 18 hours and that was almost three times longer than my longest ever race. “But the first three-quarters of the race went perfectly to plan,” he continued. “I wasn’t there to just finish, I wanted to do as well as I could so I did push hard. “The other riders probably had a bit more speed so I thought if I could get them to chase me maybe they’d blow up. “So for most of the race I was in the medal position. Seven hours in I was off the front by myself and that was nice. But Sherlock began to slip back as the hours ticked down, though he was still in with a shot of a medal at the 20-hour mark. The course was a lapped circuit and the rider with the most laps covered in 24 hours was declared the winner. “It was quite an explosive course with lots of short climbs; it’s not like trying to get into the break in a race. “It’s more about having a deep level of endurance and just having a good threshold and having your head in the right place. “I changed my training around to be good for this type of racing; it wouldn’t be the stuff you’d do to get ready for road racing. “It’s as much physical as mental and I actually think I got the mental thing right but I’ve never raced that long. Sherlock revealed how he burnt 25,000 calories and staying on top of his nutrition proved to be one of the biggest challenges. “You can take in maybe 300 calories an hour but over the course of the race that’s nothing against 25,000 calories so you’re mostly topping up with some carbs and a little protein. So he’ll be back again next year? “But it’s too early to say because lots of preparation goes into this. If I was doing it again I’d want to have everything absolutely perfect.